Editor’s Note: This is the fourth installment in a series of exclusive investigative stories that focus on Dr. Steven Anagnost and his battle to retain his medical license while also trying to defend himself against allegations from the Oklahoma Medical Licensure Board, competing physicians and a group of medical malpractice attorneys in Tulsa. OKLAHOMA CITY — Four Oklahoma Supreme Court justices agreed Tulsa spine surgeon Steven Anagnost’s constitutionally-protected due process rights were violated on numerous occasions by the state’s Medical Licensure and Supervision Board, according to a lawsuit filed last month. The lawsuit, filed in Oklahoma County District Court, alleges a group of competing surgeons, medical malpractice attorneys and the state board conspired to revoke the doctor’s medical license through a series of orchestrated attacks involving secret medical and physician files and internal agency emails. Anagnost, a pioneer in Minimally Invasive Spine Surgery (MISS), declined an offer in 2005 to join surgeons at Oklahoma Spine and Brain Institute and their privately-owned Tulsa Spine & Specialty Hospital. Soon after, the lawsuits and complaints were filed. According to Anagnost, the competing surgeons were jealous at his success. 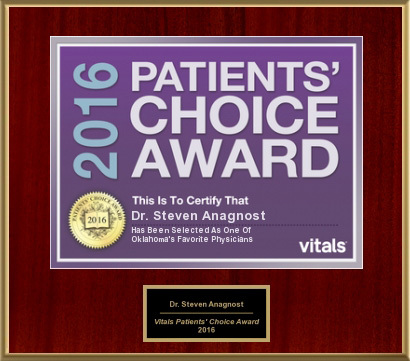 The MISS procedure allowed Anagnost’s patients to experience significantly fewer complications, shorter hospital stays, less morbidity and lost costs when compared to the national standard and Anagnost’s competing surgeons in Tulsa, according to a report prepared by Michael Lapolla, an Oklahoma-based health care administrator and health policy researcher. Despite the all-out war to discredit Anagnost, he never lost his license and continues to practice medicine in Oklahoma. However, his reputation, personal finances and surgical practice were severely damaged by the publicity, a barrage of unsubstantiated complaints and an estimated 25 lawsuits that were solicited by the board’s investigative team. As a result, Anagnost and his attorneys asked the state’s high court in 2013 to assume original jurisdiction in the case, removing it from the medical board’s oversight. In a 5-4 split decision, the justices denied the doctor’s request. 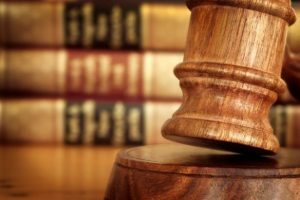 However, the dissenting justices – Joseph Watt, John Reif, Yvonne Kauger and Noma Gurich – were clear in their written opinions that the medical board erred in several ways. “From all of the documents, exhibits, affidavits and pleadings presented, I have grave concerns that the petitioner (Anagnost) has failed to receive even the minimal due process required under our state and federal constitutions,” Watt wrote in February 2013. Watt specifically mentioned the medical board’s failure to notify Anagnost about subpoenas it obtained for patient medical records at Hillcrest Medical Center in Tulsa and the surgeon’s peer reviews. Anagnost performed several of his surgeries at Hillcrest. “The failure to inform the petitioner (Anagnost) of the Hillcrest subpoena that was issued more than six months previous; numerous ex parte continuances obtained by the respondents, again without notice to the petitioner; the attempt to extend authority to the Trial Examiner to hear evidence beyond that authorized by the O.A.C. (Oklahoma Administrative Code); and several possible conflicts of interest among members of the respondent’s ‘trial team’ all warrant assumption or original jurisdiction by this court,” Watt wrote in the dissenting opinion. “This Court has held that the lack of due process resulting from a biased tribunal is the sort of injury that cannot be corrected on appeal,” Watt wrote. Anagnost and his legal team have argued that the “Unholy Trinity” of medical malpractice attorneys, competing surgeons and the state medical board used a veil of solicited lawsuits and complaints by board investigators to create a prejudicial attitude toward the Tulsa surgeon. In addition, internal medical board emails demonstrate that agency staff members, including Executive Director Lyle Kelsey, and board members were intent on revoking Anagnost’s medical license although an initial complaint filed against the surgeon was dismissed at an emergency hearing on June 18, 2010. That decision left the complaining doctors and the “Unholy Trinity” irate and outraged. “I embarrassed them and humiliated them. They had egg on their face,” Anagnost said in an interview with Red Dirt Report. An email dated December 6, 2010, from medical board advisor Dr. Eric Frische to Kelsey, then-agency investigator Gayla Janke and Assistant Attorney General Libby Scott illustrates the agency’s desire to prolong the Anagnost prosecution. “It’s just really hard to tell if you’re looking at a valid technique emerging or just another charlatan. If he refuses to cooperate maybe one could require it (surgical videos) and keep the case open,” Frische wrote. Anagnost’s case did remain open and on the board’s monthly docket, allowing public speculation that the doctor’s practice remained under scrutiny. Kelsey did not return phone calls for comment in connection with this series of stories. The board’s decision to maintain an active case file drew the ire of the four dissenting Supreme Court justices. “What is most disturbing is since the filing of the original complaint, two years have gone by without resolution,” Kauger wrote in the 2013 opinion. “I have stated before, in the context of disciplinary proceedings for lawyers, that excessive delay before holding a hearing implicates due process concerns,” Kauger wrote. The justices also concurred with Anagnost’s claim that then-board member Gary Brooks, who was representing two plaintiffs in separate medical malpractice lawsuits against Anagnost, should have recused himself from the board’s prosecution of the Tulsa surgeon. The justices noted that state law places the burden on an agency member to withdraw in such a situation. The Oklahoma County lawsuit alleges the medical board failed to disclose exculpatory evidence to Anagnost and that it willfully concealed the existence of a conflict of interest in connection with Brooks and medical malpractice attorney Randy Sullivan. Sullivan was retained by the board to serve as its prosecutor in the Anagnost case. Anagnost also claims in his lawsuit that agency staff members shared investigative information about the surgeon with board members in an attempt to bias them prior to a hearing. A similar claim alleges the agency failed to tell Anagnost that one or more board members had decided his guilt. In addition, the lawsuit alleges the emergency hearing process was misused by asserting Anagnost committed fraud, which by agency rules is not a proper use for such a hearing.